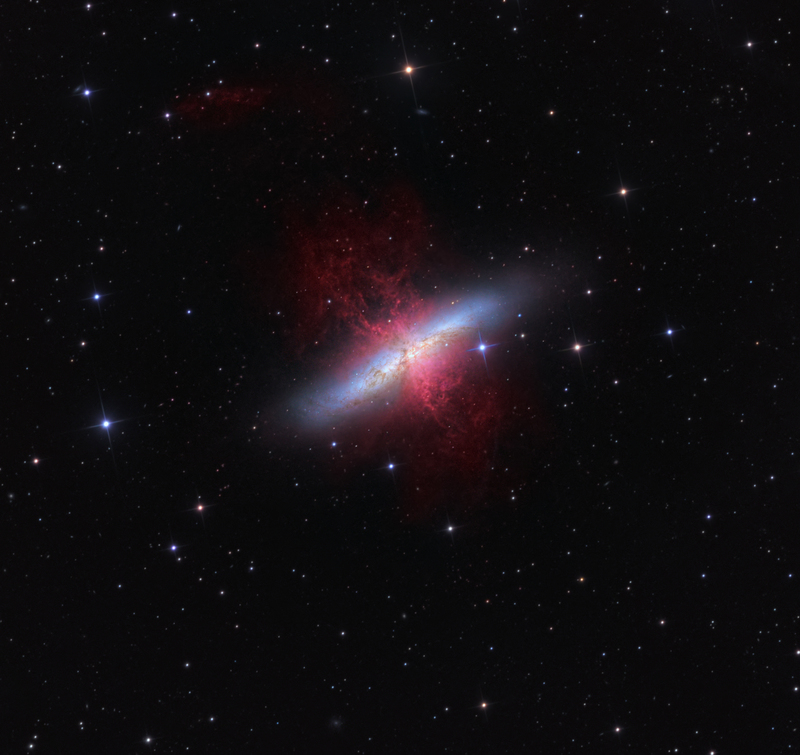 M82 is also known as the Cigar Galaxy and is about 12 million light-years from us. 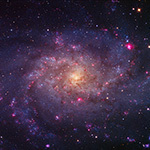 It is also a star burst galaxy with a very active core with plumes of red hydrogen blasting out into space. 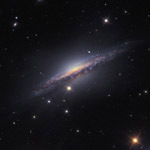 New star formation is happening at a tremendous rate making it one of the most interesting galaxies we know of. 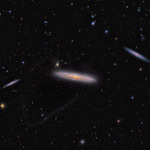 This image is an APOD. 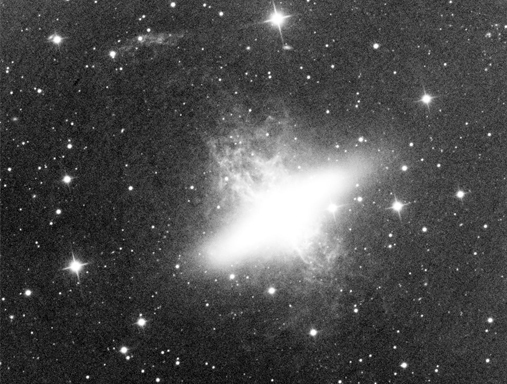 The red plumes were enhanced from hydrogen data with Red Continuum subtracted from it to increase the contrast.